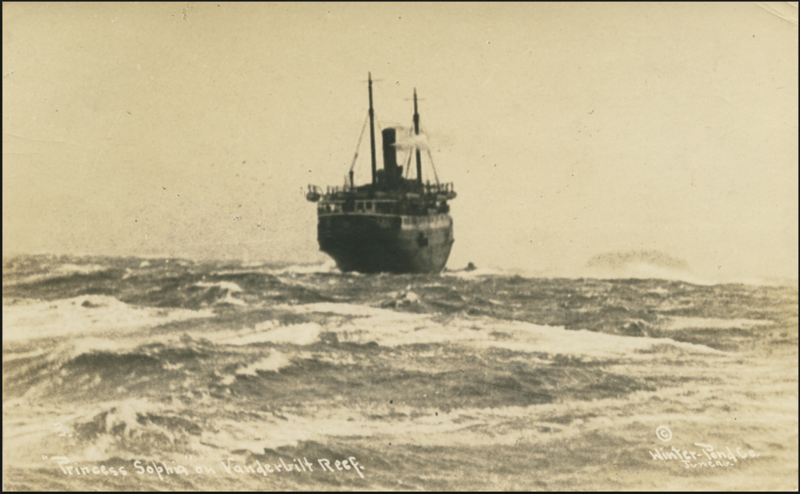 It was 100 years ago on 25 October 1918, when one of the worst shipwrecks on North America’s west coast occurred. The sinking of the Princess Sophia. A Canadian Pacific Steamer, the Princess Sophia left Skagway, Alaska on 23 October, bound for Vancouver and Victoria, Canada. It was the ship’s final run of the season, and she left the dock three hours late. 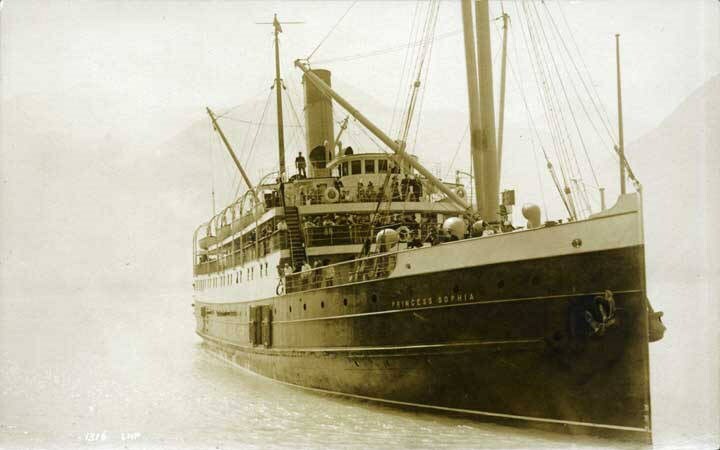 There were 353 people on board; an eclectic group from the Yukon and Alaska: miners, business men, government officials, their wives and children, along with the ship’s crew. The Sophia, traveling off course, crashed onto Vanderbilt Reef at 2am on the 24th. The ship was traveling 11 knots at the time of impact. It is not known why or how the ship ran off course, although weather was probably a factor. The ship was cruising through heavy snow and fog, with zero visibility. Procedure called for the speed to be reduced to 7 knots, but the captain kept the pace up, possibly to make up for the late departure. The Sophia’s log was never recovered to provide insight. 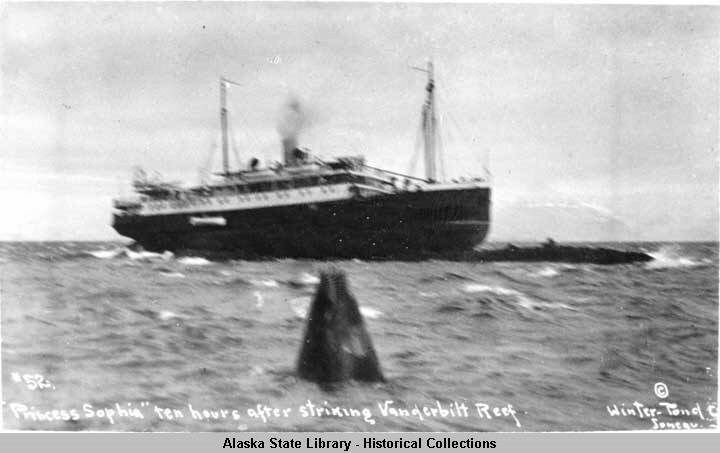 A stresscall was sent out to Juneau, and a fleet of rescue boats went out to the reef, and circled the Sophia for several hours. 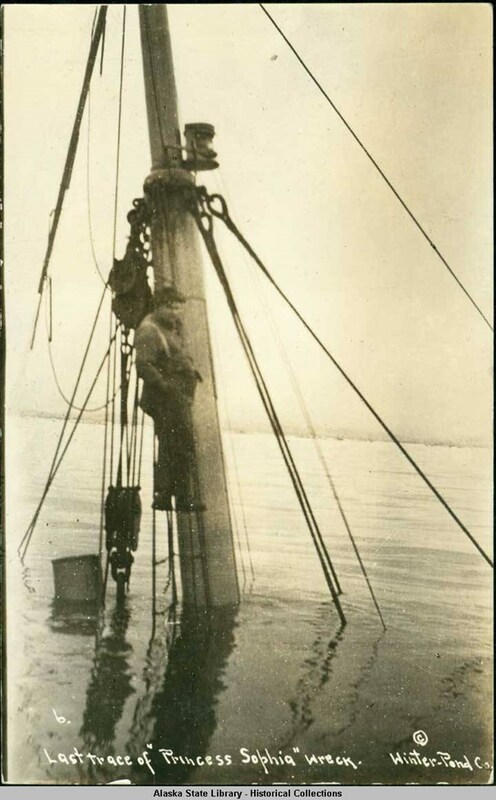 Initial inspections showed that the Sophia was not taking on water, so the captain hoped that the ship could float off the reef at high tide. Passengers waited anxiously from October 24 to the 25th to be rescued. The sea began to worsen. A light house tender, The Cedar, could only get to within 400 yards of the Princess Sophia, and was pushed back by the rough waves. By afternoon on the 25th, the storm had increased in severity to the point that rescue ships had to seek shelter themselves. The winds picked up, the tide rose, and the Sophia’s stern was lifted upward, breaking the hull away when the ship came down. It was now taking on water, and an SOS was sent out from the ship. 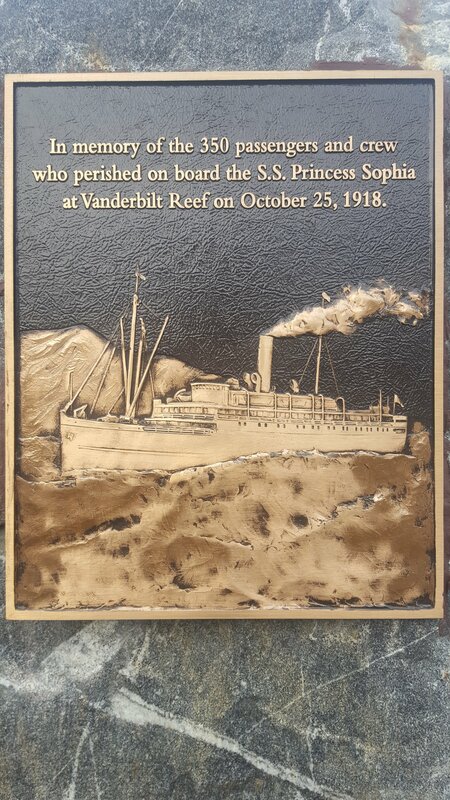 The Princess Sophia sat on Vanderbilt Reef for 40 hours, yet sank between 5:30-6:00 pm on the 25th. There were no survivors from the frigid Alaska waters. There was one Alaskan celebrity on board. 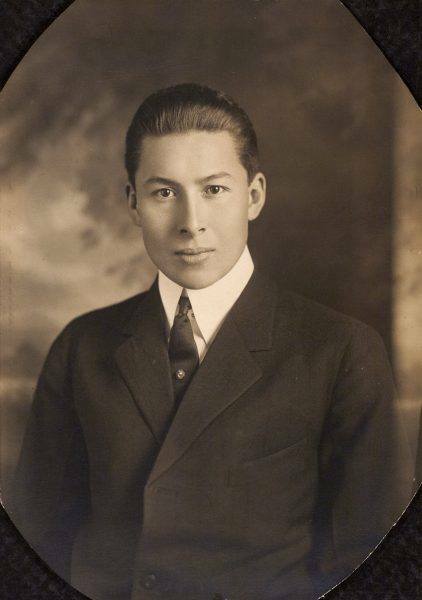 Walter Harper, a Koyukon Athabascan, was the first person to summit Denali in 1913, as a member of the Karstens-Stuck Expedition. Harper had just been married on 1 September, and was on board the Sophia with his wife, Frances Wells. The couple were on their honeymoon. This entry was posted on Friday, October 26th, 2018 at 6:42 AM	and tagged with Alaska, Canada, photo, princess sophia, travel and posted in history. You can follow any responses to this entry through the RSS 2.0 feed.